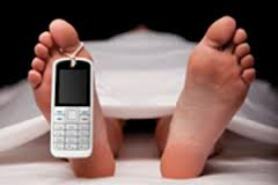 LC Theatre presents “Dead Man’s Cell Phone” by Sarah Ruhl, opening April 11. In this play, the guy at the next table just bit the big one and his cell phone won’t stop ringing. When Jean answers his phone, her fateful act dials her into the dead man’s mysterious business and his eccentric family – not to mention trips to the afterlife and the black market. The play will be in Dillard Theatre April 11, 12, 13 at 7:30 p.m., April 14 at 2 p.m. tickets are $10 for adults, $8 for seniors (60+), and $5 for LC students, faculty, and staff. Call the LC Box Office at 544.8380 or get tickets on line.